The wonderful sunshine, rich culture, diverse terrain, and welcoming atmosphere make Spain the ideal choice for a luxury camping holiday. Contact us today here at Lux-Camp so we can find you the perfect accommodation for your next camping holiday in Spain. LUX Camp offers a wide range of all the best campsites in Spain. With campsites in 3 regions, stunning landscapes, beautiful cities and excellent beaches, camping in Spain is an all time favourite with families. Book your next luxury family camping holiday online or contact one of our highly experinced sales agents to our more about campsites in Spain. Spain is one of the most beautiful countries in the world with a wide variety of terrain including lush mountains, stunning beaches, exotic islands, and ancient cities. This all makes Spain an ideal location if you are looking for a holiday camping site. Looking for camping Spain? Find your favorit campsite in Spain online - book online today with LUX CAMP. Why is a camping in Spain so Popular? 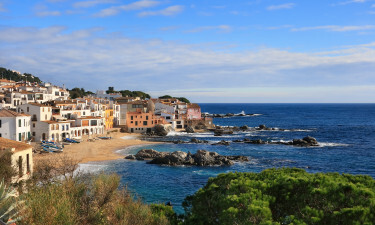 The coastal region of Costa Brava is one of the most popular tourist areas in Europe due to its romantic atmosphere and great beaches including Platja de Pals, Platja de Canadell, Platja de Tamariu, and Cap de Creus. There is also some great nightlife as well as family entertainment. Costa Dorada in Catalonia is also known as the ‘Golden Coast’ because it has about 150 miles of sandy beach. 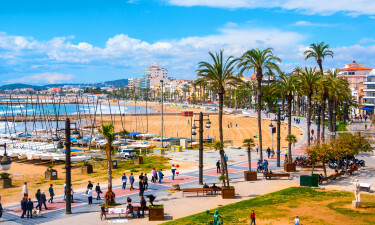 The city of Barcelona is just 60 miles away, and there are some excellent local attractions including Port Adventura Theme Park, the Roman Aqueduct in Tarragona, and Playa de la Pineda (an amazing man-made beach). Cantabria is the most diverse part of Spain because it offers a mix of mountains, beaches, rural villages, and seaside towns. This is a good place to go if you are looking for a luxury camping site as it is a hotspot for glamping. Cantabria is right next to the Bay of Biscay and the Cantabrian Mountains, so it is a perfect spot for an adventure holiday. The great weather in Spain means that it is the ideal place to go to enjoy the great outdoors. It is the beaches and other natural attractions that are probably most responsible for pulling visitors back to this country again and again. 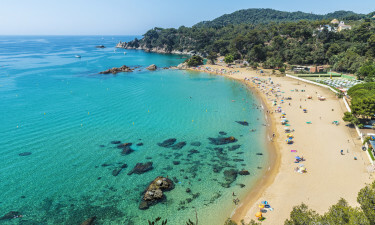 Some of the best seaside areas can be found in Spain including Águilas (Murcia), Playa de la Magdalena (Santander), and Praia de Niñons (Costa da Morte). Some of the other natural attractions worth mentioning would include Parque Nacional de Timanfaya (probably the nearest thing to Mars on Earth), El Torcal de Antequera, Parque Nacional de Arribes del Duero, and Parque Nacional de Teide. Even if you are staying in a luxury tent, you will no doubt want to do some exploring. Some of the attractions you might definitely want to check out would include El Escorial (old residence of the King of Spain), Alhambra (Islamic fortress in Granada), Sagrada Familia (Barcelona), and the medieval city of Cuenca. 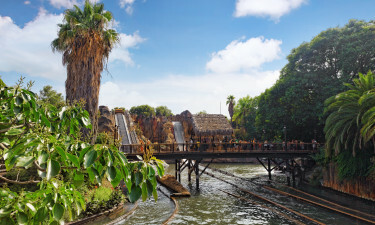 If you are bringing along the kids, some suitable attractions could be the Toy Museum in Catalonia, Retiro Park in Madrid, or Port Adventura Theme Park in Costa Dorada – most tourist areas will have plenty of kid’s attractions as well. You can save money by cooking up some local food in your luxury mobile home or bungalow tent, but it is also going to be nice to dine out occasionally. 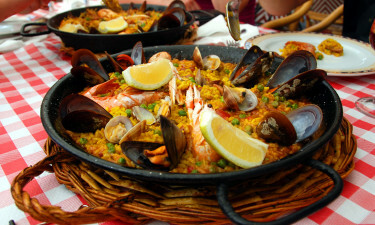 There is a wide variety of food to choose from in Spain and some of the most delicious items would be Cochinillo Asado, Gambas Ajillo, and of course Paella. The most popular alcoholic drink in this part of the world is Sangria, and creamy horchata would be a good option if you want something non-alcoholic. Eating and drinking is very much a part of the culture in Spain, and eating-out is a good way to socialise with local people. The Kingdom of Spain (Reino de España) covers an area of 195,363 miles making it the second-largest country in the EU. It has a population of 46.7 million people, and there have been humans living in this part of the world for at least 32,000 years. Spain has three climate zones – Mediterranean, semi-arid, and Oceanic. 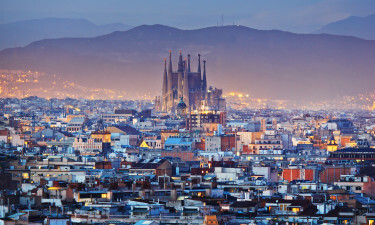 Spain is home to a number of cultures and languages, so there is always something new for visitors to discover.